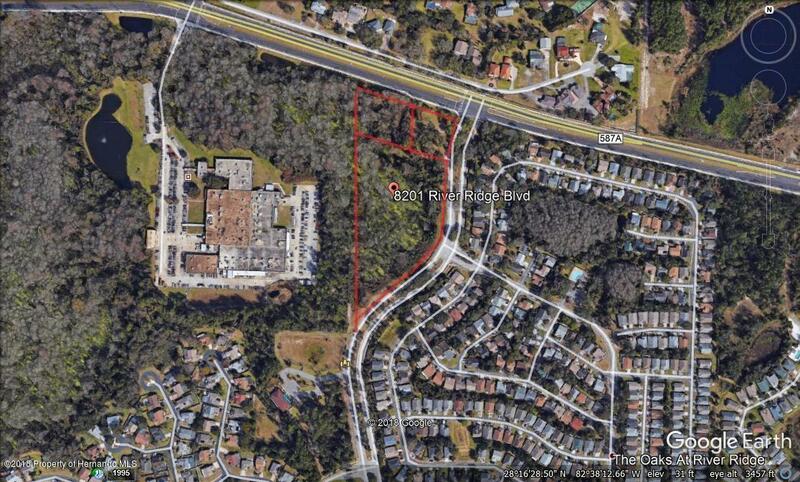 2.5 acres of Commercial Land, zoned MPDP facing Ridge Rd., at a lighted corner, in NPR. Total property is 10.42 acres with the balance being wetlands. Entrance to the property will be off River Ridge Blvd. Western side of the property(2.5ac) is the buildable side as corner has drainage infrastructure in place.